Improve your Aircraft’s performance with our 2 blade Jabiru propeller featuring our new PowerSweep blade planform. This propeller is manufactured using an internal pressure, closed mold system to produce a hollow, one piece blade. This process yields very repeatable blades with maximum strength, durability, and low weight. Don’t confuse this propeller with other propellers that are manufactured as two pieces and then bonded together afterwards. This propeller has the strength and durability to give you thousands of hours of trouble free flying. 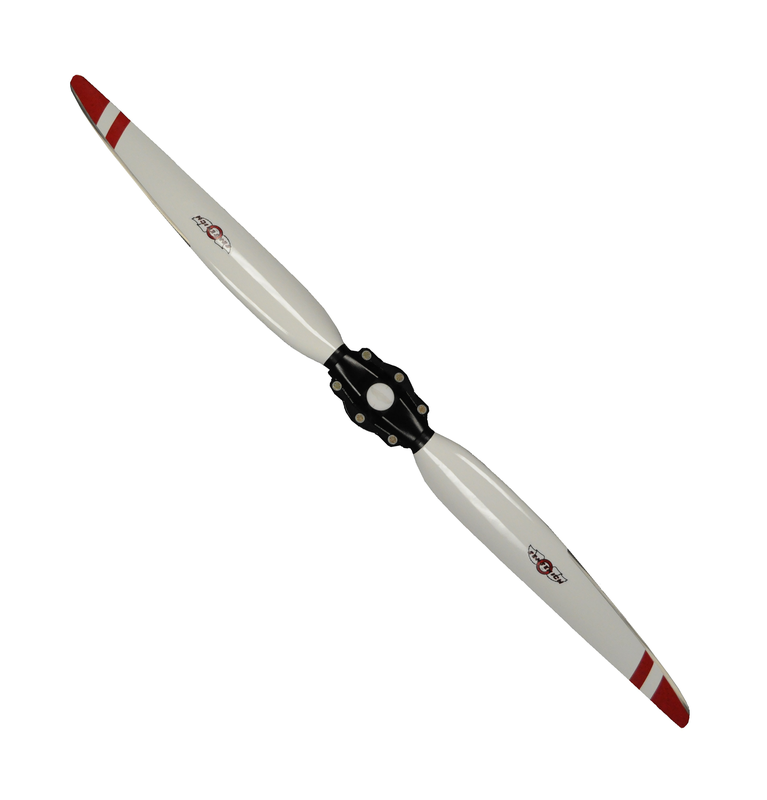 This propeller features a co-cured bonded metal leading edge for erosion and FOD protection. The two piece hub is manufactured from aerospace grade aluminum and is either alodined or anodized for corrosion protection. Our Pitch Cylinder Hub System allows its users to set a broad range of pitches, using the system’s index mark as a reference point when making adjustments. They adjust 16 degrees in pitch, affording maximum performance within an efficient aerodynamic envelope. The blade pins lock into the blade pin slot of the pitch cartridge, allowing the blades to move back and forth in tandem for ease of setting pitch. Our 2 Blade Jabiru 2200 propeller is suitable for use on the Jabiru J2200 engine. It has currently not been vibration analyzed for use on any other direct drive engine.